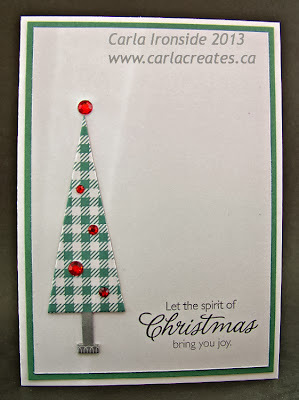 Carla Creates: Sparkle & Shine Christmas Card Kit - Available Now! 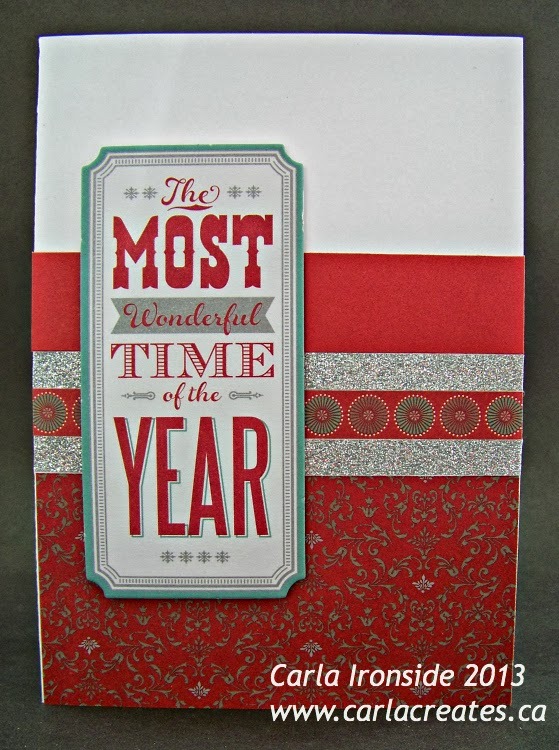 Sparkle & Shine Christmas Card Kit - Available Now! 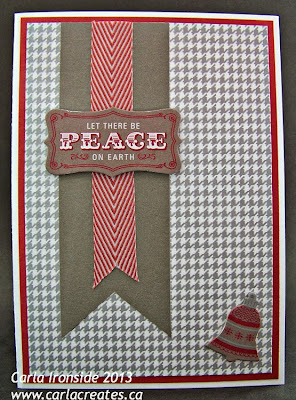 I'm so excited to share these cards with you today! Based on feedback from my customers - I have found that many people prefer Christmas cards that are large enough to hold 4x6 or 5x7 photos for sending to family & friends. 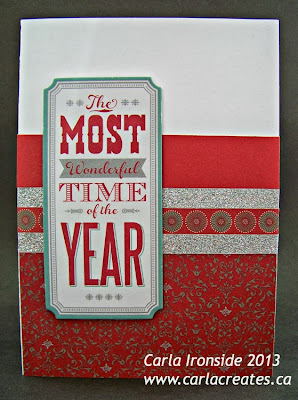 CTMH has designed some great card kits this year (shared with you HERE) - but the cards are smaller - 4.25" x 5.5" and 4"x4". 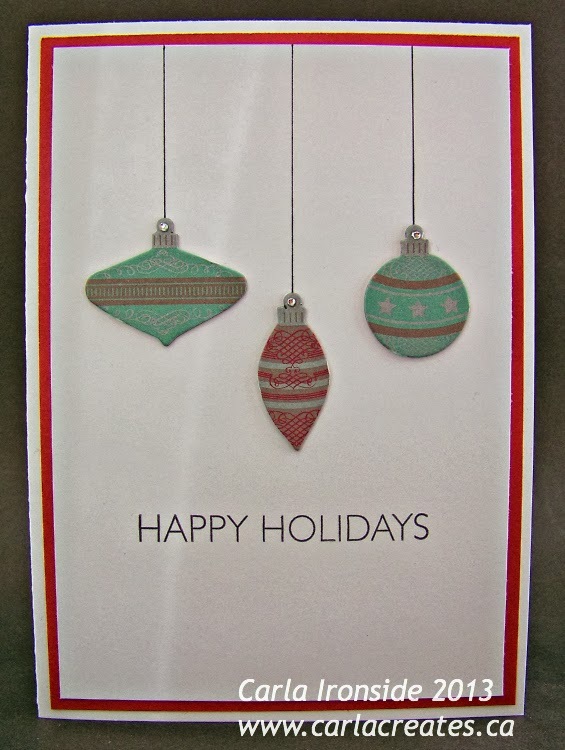 So I wanted to give you another option if you were looking to include larger photos in your holiday mailings. 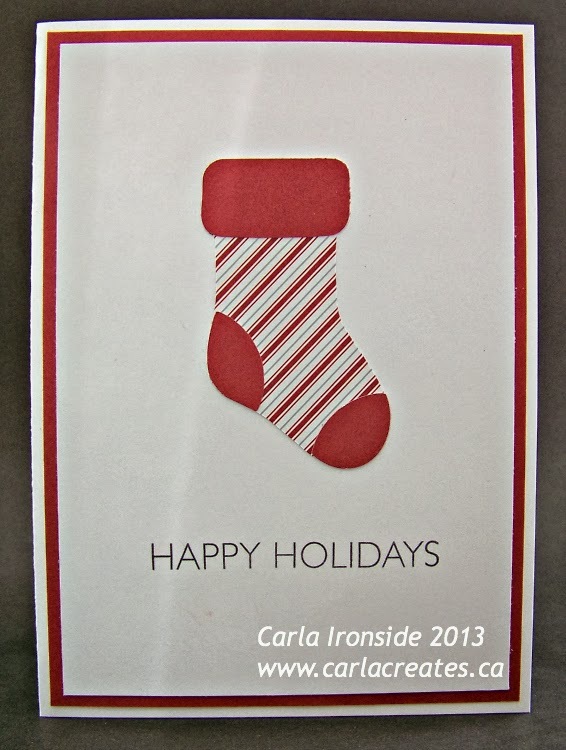 Another consideration for me in designing holiday cards is the CTMH "faster, simpler, easier" philosophy. If you are anything like me - you send many, many cards each holiday season - that means these cards need to be simple and easy to assemble so that I can make a large quantity in a short amount of time. 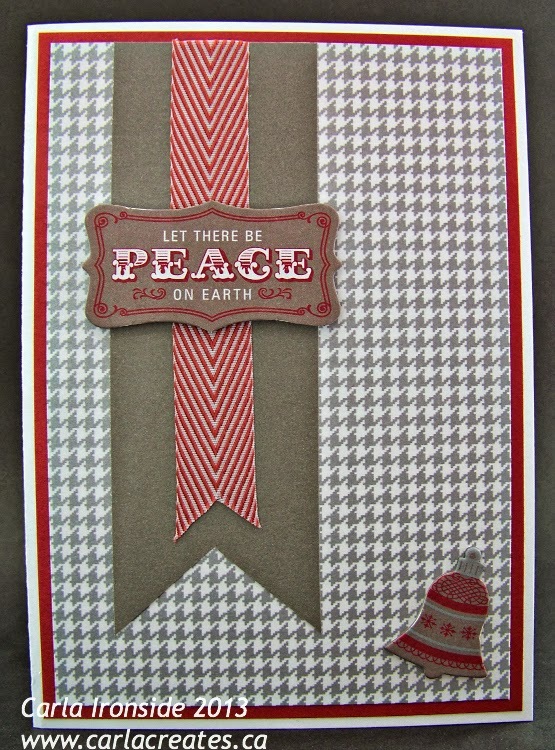 Also - for ease of mailing, I do not use any bulky embellishments. 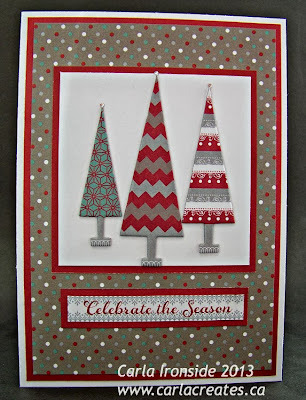 Inspired by a card on Pinterest that I cannot, for the life of me, find again! 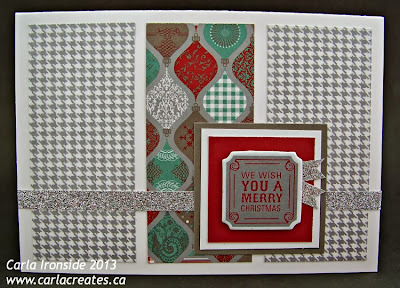 I'm offering these cards in kits - each makes 12 cards (need more than 12 cards? order multiple kits!). Kits include pre-cut paper and pre-stamped sentiments where applicable - you simply assemble. 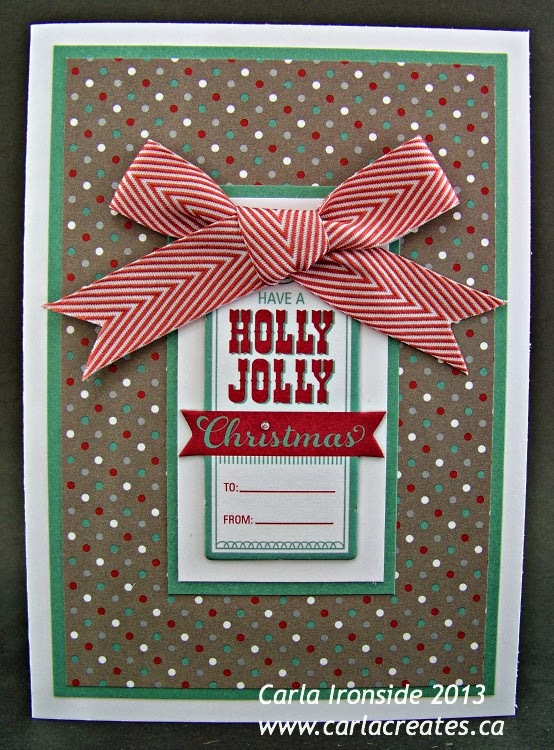 Included: Colour photos of each finished card, assembly instructions, 12 card bases & envelopes, Sparkle & Shine paper (pre-cut), cardstock (pre-cut), 1 package of Sparkle & Shine Complements chipboard pieces, 1 roll of 3-D foam tape, and quantities of Silver Shimmer Trim, Red Sparkles, Bitty Sparkles, Red Chevron Ribbon, Slate Satin Ribbon as needed to complete the cards as shown. 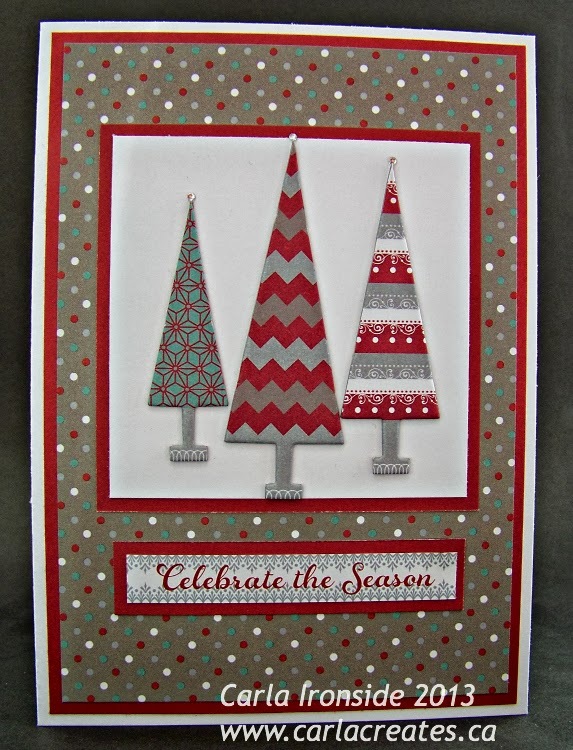 Kits are just $30 each! Order now - while supplies last! 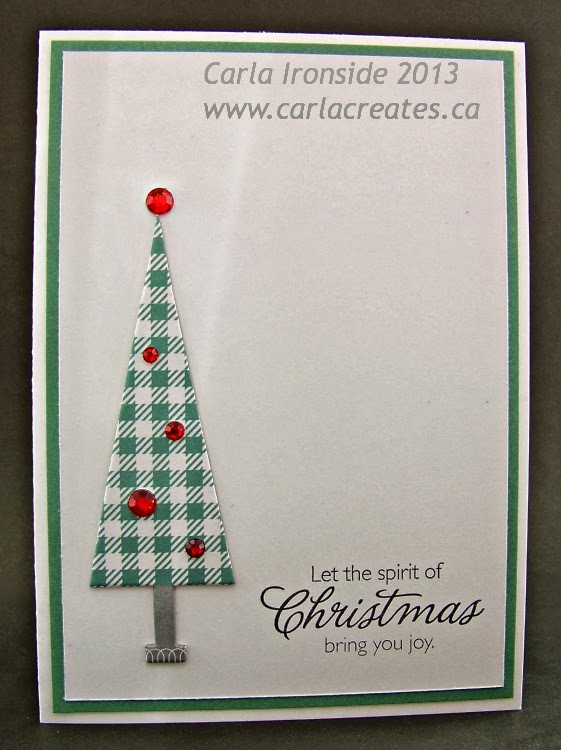 Available to Canadian customers only. 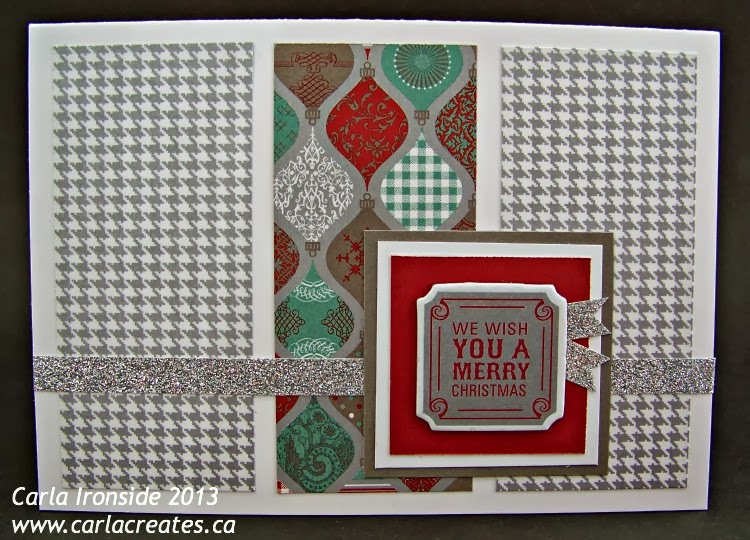 EDIT FEB 3rd 2014 - - ONE KIT LEFT! 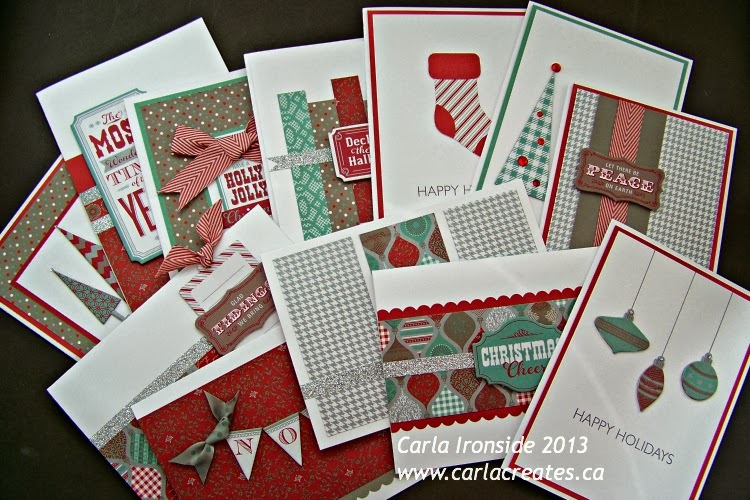 Lovely group of cards, Carla! 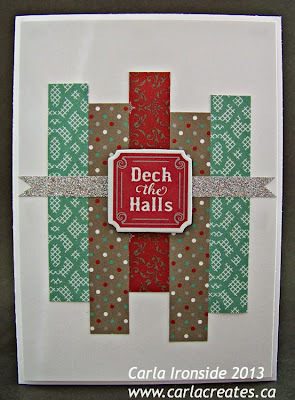 Great way to use the S&S complements. Thanks for sharing them! 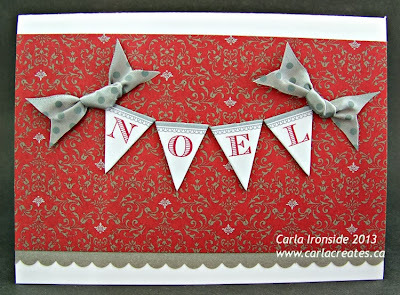 Fabulous cards Carla. I love that you made them larger. 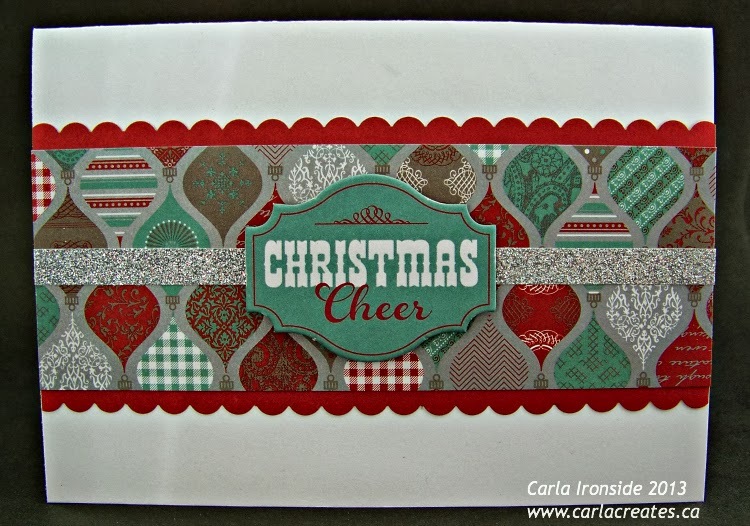 Your card kit is great! They are each uniquely different too, which I love! 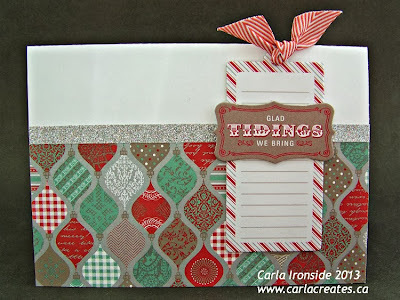 Carla, I like your clean, uncluttered style!! Great idea making them larger for pics. Thanks for the inspiration! 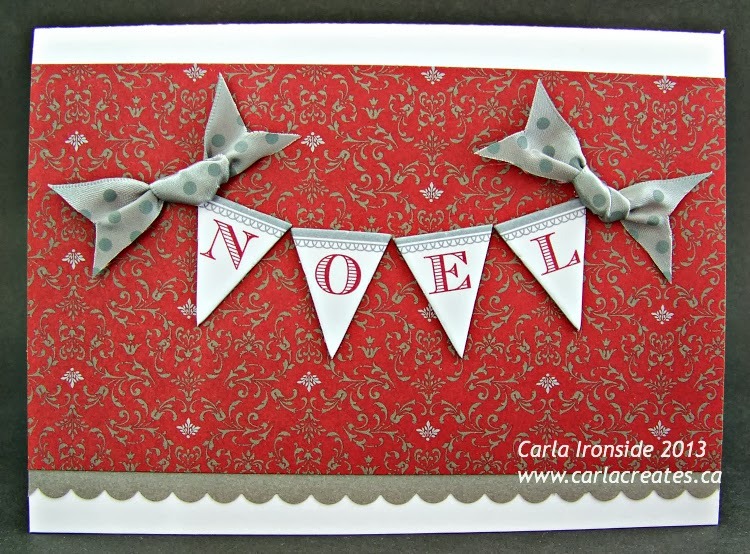 What gorgeous cards Carla! Love them!